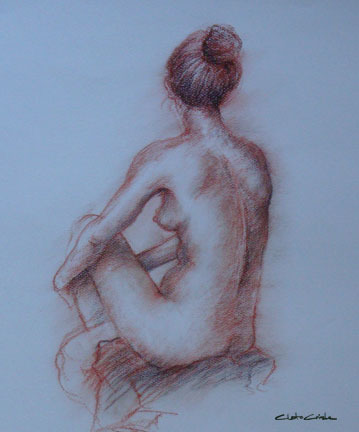 With so many things going on last December and early January I haven’t been able to go to the life drawing workshop. But I was able to go last weekend and this weekend. I didn’t feel rusty at all and was able to continue where I left off. 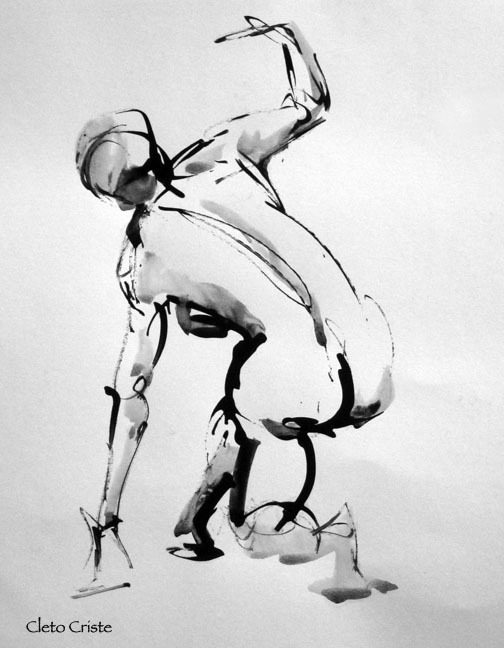 Below are some of 2 minute warm-up figure ink wash drawings from the past two Sundays. These are some of my ink/wash figure drawing warmup sketches from last week. This particular model is very good at contorting and bending his body that makes for some excellent poses. We had one of my favorite models today; the one with the 50’s kind of look because of her hairstyle. I really wanted to do a portrait of her but wasn’t able to. But I was pretty happy with my ink sketches and that’s what I have posted today. It was a nice, full workshop today. Good to see some familiar faces again. The model’s poses were interesting but may have been difficult at times. My favorite works for today were probably my 2 minute warm-up ink sketches. Please visit my art website at www.cletocriste.com to see more artwork. Thanks. Today’s drawings from the Sunday life drawing workshop. 10 minute drawing – charcoal on paper. 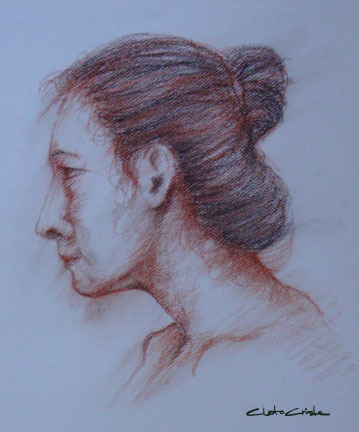 20-minute drawings – black, white, and red charcoal on toned paper. 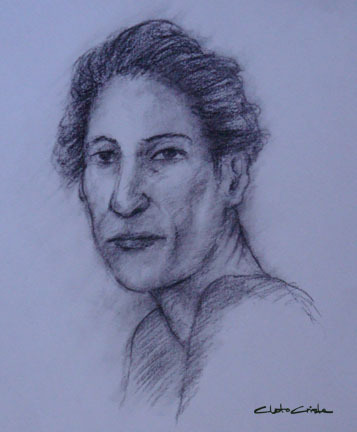 Visit my website at www.cletocriste.com to see more drawings. Not that many showed up at the workshop today but it was a pretty good day for drawing the figure. 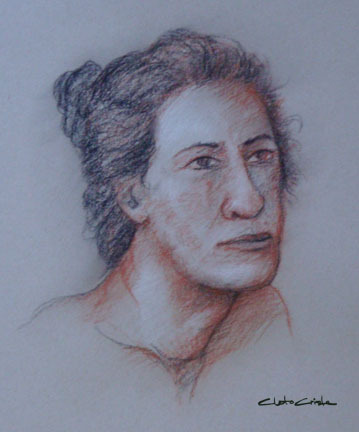 This particular model that we had today has a mixture of white and dark hair that I sometimes have a little trouble depicting in my drawing. But I thought I got some good drawings off of her. Below is one of the ten sumi ink warm-up sketches. 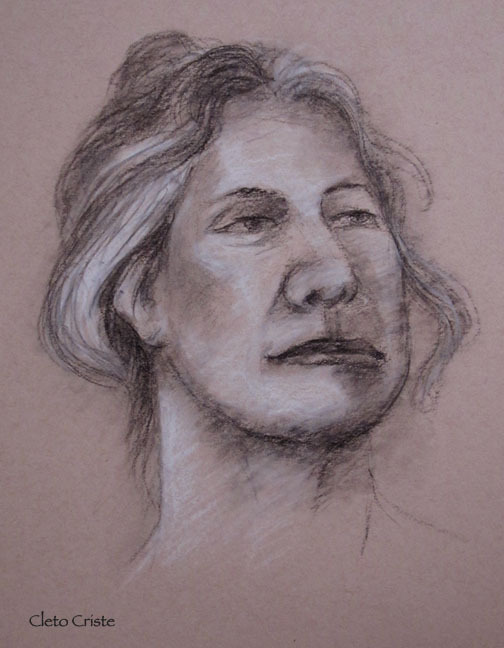 Below are 20 minute drawings done with black and white charcoal on toned paper. Visit my website at www.cletocriste.com to see more artwork. We had heavy rains passing over Hawaii this weekend with flash flood warnings in some areas of the state. I woke up this Sunday morning and looked out my window, saw how heavy the dark clouds were, and went back to bed unsure whether or not I should go to the figure drawing workshop, or just stay home and watch NFL football. 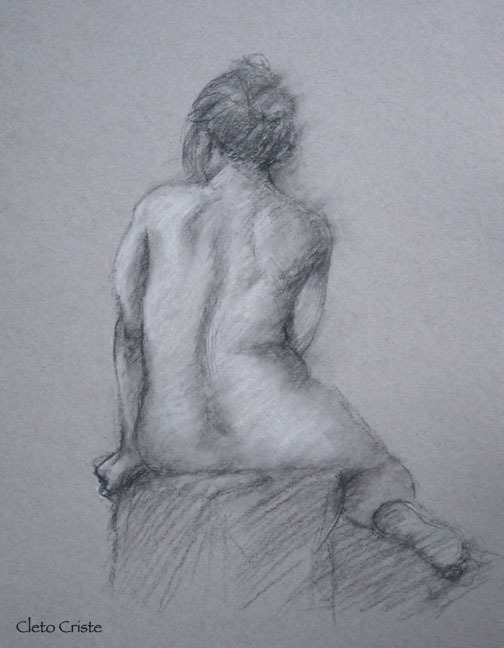 I got up again about thirty minutes later, looked out the window, saw that it had cleared up some, and decided to go to the figure drawing workshop. I drove over to Foodland first to withdraw money at their in-store ATM machine and then walked over to Starbucks to get a grande size hot cup of Americano before taking the twenty something mile drive to the workshop. It was pouring rain in town and I had to sit in the car for a few minutes before it let up and I was able to make a dash to the building. I was glad I actually decided to go. My normal drawing bench spot was still available and was able to talk story with the other guys there before the session started. I thought there would be less people today but it was unusually crowded, close to maybe thirty-five people, I think. We had a model with an interesting face and unusual eyes, and probably has an exotic Cosmopolitan mix. Here are four of the twenty minute drawings that I did at today’s figure drawing workshop.